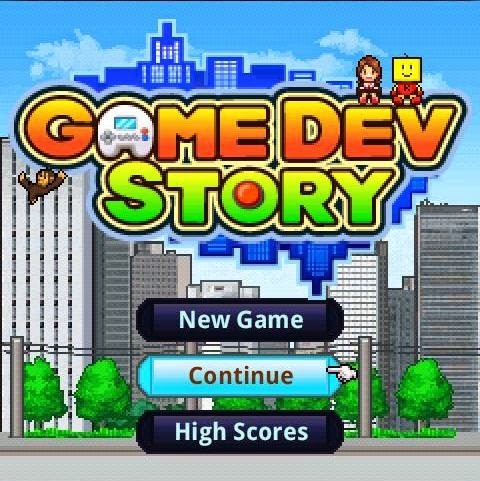 Game Dev Story is developed by Kairosoft for Android and iOS devices at 2010, the original game was previously released on PC in 1997. The graphic is not something to be expected in this game, but the gameplay is simple yet addictive. 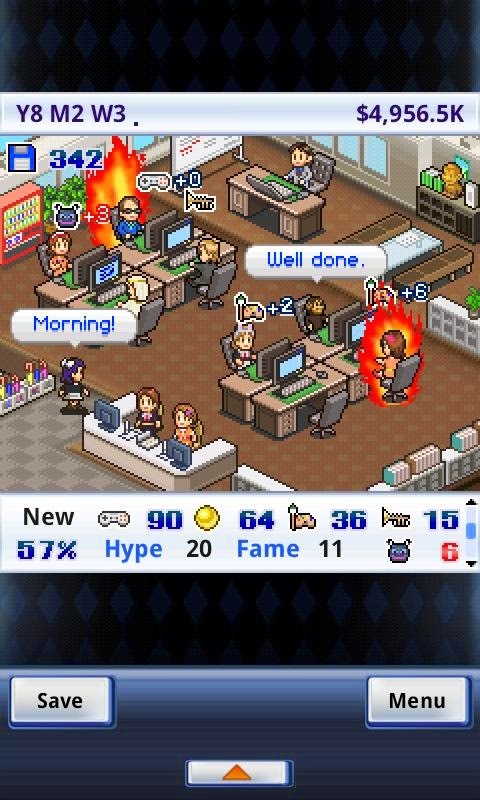 What make gamers addicted to playing this game is an attempt to develop games in 10 years by using a score and in addition to make the company become number one game developer. During the gameplay, we are given 14 years to develop a gaming company that should we manage to make video games where we must hire employees consisting of a Scriptwriter (Creativity), Programmer (Fun), Illustrator (Graphic) and Music Producer (Audio) . These four elements above is the main condition for achieving successful game well-developed, You must gain the higher points of developing game that is produced, then the possibility of the higher sale of the game will increase. 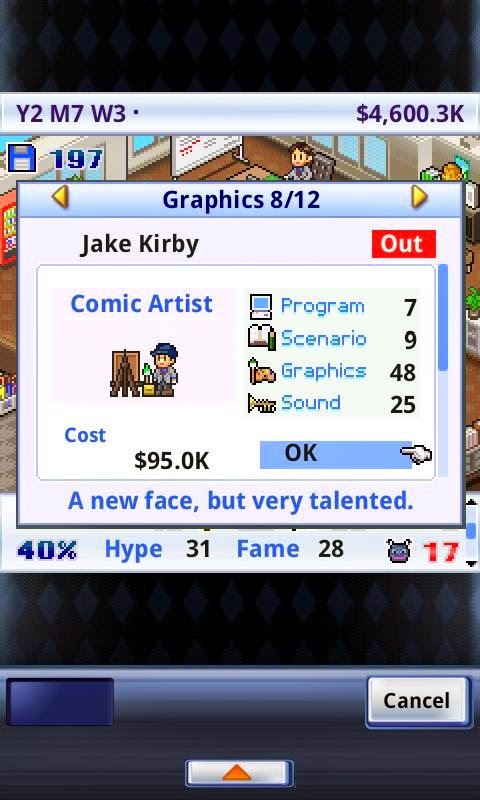 Obviously, to make a successful game requires capital money where the fun side of playing this game is how we manage the expenditure in the production of the game, we are required to use the money wisely to buy a game development kit, contracted employees, training, and promotion of the games. 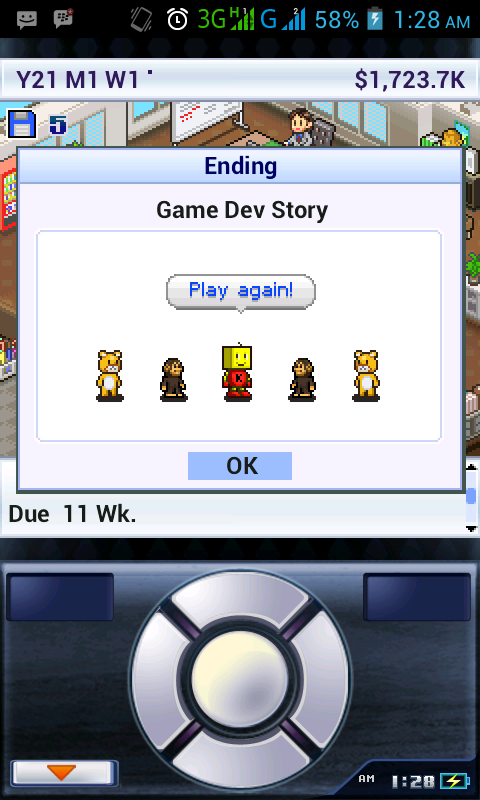 Interestingly, the timeline in this game follows the history of real world gaming, such as in the beginning we are only able to buy the development kit Nintegro (8bit NES Nintendo parody) to high-end consoles such as MSX (parody of Playstation) and also we will be able to develop our own console games if we achieve success where the other parameters are commentary critics, winning the award, and massive promotion also have a big impact during the game. For a simple game, we can only give commands for the game. We can not control the character in the game. The display in this game is fairly not too special, because it is more oriented to the gameplay rather than graphics, no surprise because its a simulation game. You can play Game Dev Story with sound or without sound it made no difference, to save battery life it's better just mute your device. Sound that are in this game only consists of a loop and simple sfx. Provide your free time more to play this game, at least 10 hours if you want to finish without stopping. 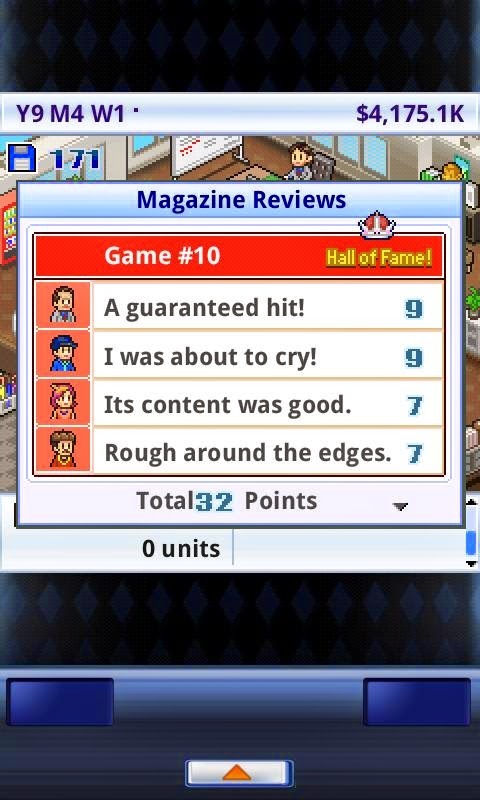 What makes fun of Game Dev Story is when you want to achieve the highest score in each game sales that you develop. Maybe the battery is about 15% or people around call you is the reason stop playing. For me, players are required to be more creative in game developing. 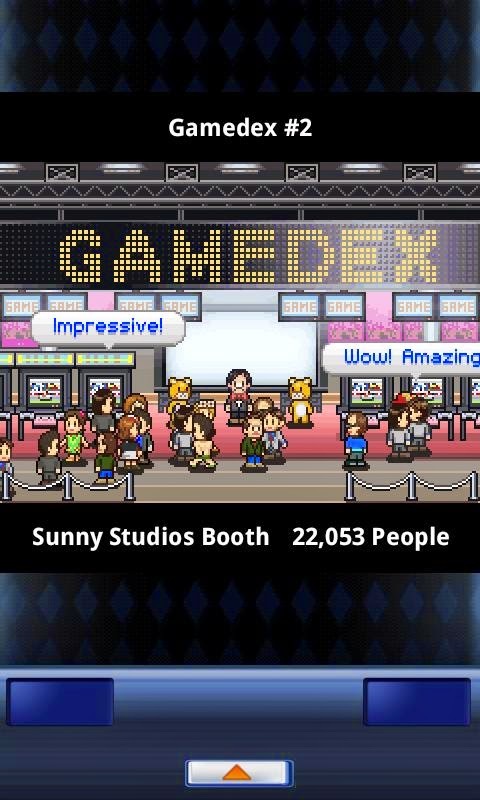 Game Dev Story gives more experience to creativity for the players.